The winter months bring residents across the country colder temperatures and higher chances for snow and ice. They also sharply increase the potential that you might experience an accident. The wet, slippery roads, poor visibility, and snow-covered walkways tend to create the perfect conditions that are conducive to accidents. Completing even the simplest, everyday activities can be risky in these circumstances. Fortunately, there are a few things that you can do to help to minimize the risk of winter accidents at home, on the road, and outdoors. 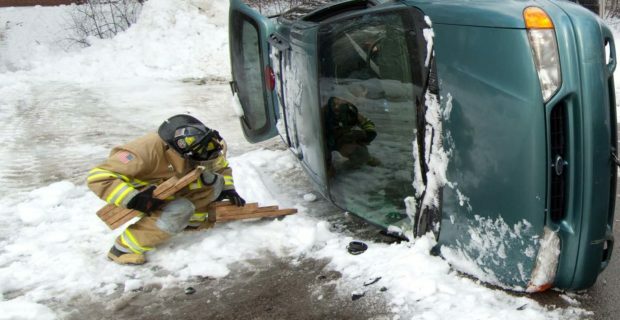 One of the most common accidents that happen in the winter is sliding and falling on the snow and ice. The risk of this occurring increases in the evening and at night when visibility decreases. 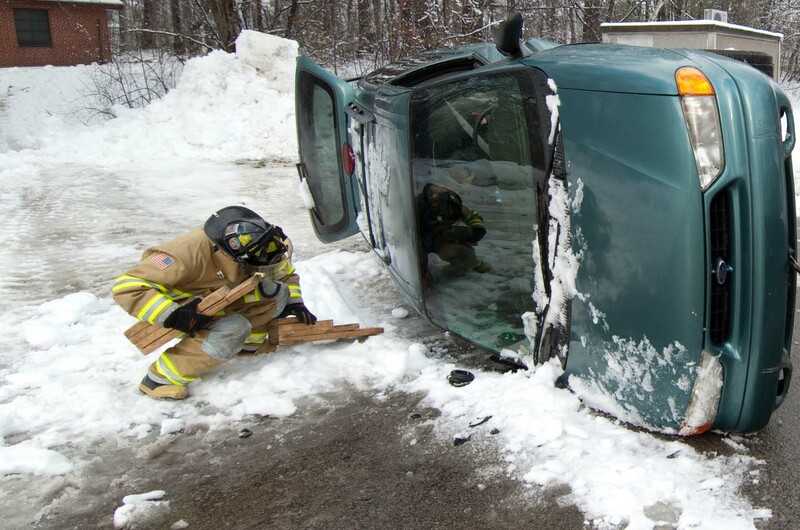 This type of winter weather accident can result in severe injuries from wrist fractures to head injuries. 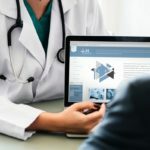 According to the Center for Disease Control and Prevention, 2.8 million people are treated in emergency rooms for winter slip and fall injuries annually. To minimize your risk of injuries as a result of slip and fall accidents during the winter, it’s essential to wear proper footwear. Winter boots have soles that will help to provide you with traction, so you don’t easily slip on icy surfaces. When walking in malls and shopping centers, be sure to walk slowly and carefully, and watch for water on the floors. Homeowners have an increased chance of suffering from winter accidents due to having to shovel the driveway. The physical exertion and repetitive nature involved with shoveling can take its toll on you if you aren’t used to doing this kind of strenuous work. A study conducted by the Center for Injury Research and Policy of The Research Institute at Nationwide Children’s Hospital found that every year there is an average of 11,500 emergency department visits related to shoveling snow. To help you avoid the common injuries related to shoveling snow, you should spend some time warming up and stretching your muscles before heading outside. As with any time you get ready to perform physical activity, it is essential to warm up your muscles to prevent strains, sprains, and cramps. Sleet, ice, and snow on the road during the winter months make for hazardous driving conditions. To stay safe on the streets, you must make sure to have your vehicle winter-ready before the first snowfall. It is vital to ensure that the windshield wipers, defrost features, antifreeze, and the engine is functioning correctly before heading out. To reduce your risk of injury, use common sense and preparedness when driving in winter weather. If you end up in an accident due to someone else’s negligence, you should consider contacting a personal injury attorney. Collisions with other vehicles are not the only causes of accidents on the road during winter months. You can also skid off the road and crash into immobile objects like signs and trees, resulting in whiplash, fractures, and spinal injuries. Unfortunately, when the weather turns cold, and snow begins to fall, we have to continue to live our lives. To help your family decrease their risks of being involved in an accident, it is essential always to be prepared when heading outside during the winter.